I am pleased to present a publication that came out earlier this week in Educause Review On-line. 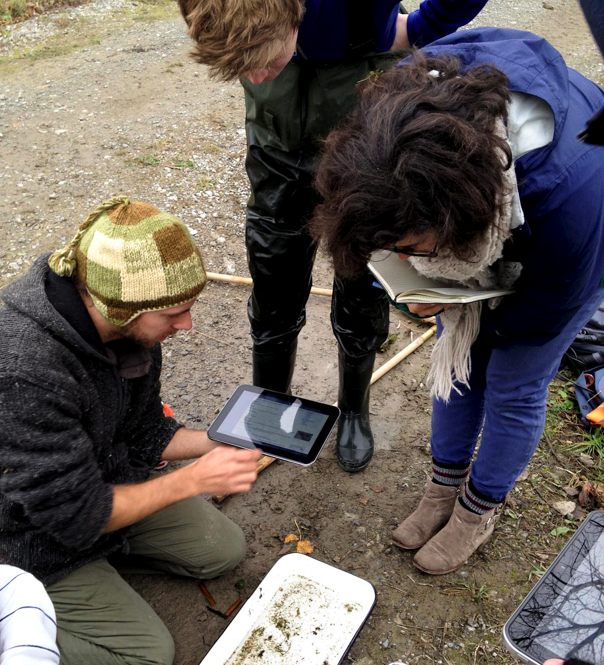 This article resulted from a pilot project done in Fall 2012, in which students in my field biology class at McGill used tablets to enhance experiential learning. Authors on the paper included colleagues from Teaching and Learning Services at McGill (Adam Finkelstein and Laura Winer), and PhD student Crystal Ernst. Environmental biology students mobile devices to gather rich data in the field and to support learning through real-time interaction with their instructor and the larger research community. The project included an analysis of survey and interview data to determine the impact of tablet use on student engagement once the project was complete. Students recognized the value of the tablets as a research tool; however, the tablets’ most important contribution to learning was the real-time communication and feedback they enabled between students, instructors, and the scientific community. I previously highlighted a video from that project on social media use in the class, and the video (below) is more specifically about the use of the tablets in the class. This work was done in collaboration with Teaching and Learning Services at McGill, McGill Libraries, and the tablets were generously provided by Toshiba Canada, and Bell Mobility helped us with mobile WIFI units. I am immensely thankful for the support and I am truly honoured to be able to explore these adventures in teaching and learning. We are continuing with these kinds of initiatives, and a Brown-Martlet Foundation grant has allowed my Department to purchase some of the tablets originally used last year.